We are Adelaide’s leading complete bathroom renovation specialists. With more than 675 bathroom renovations completed in the last 20 years we know bathrooms, and how to best use the space you have to create something amazing. Experience in building and renovating is everything. We transform bathrooms that make people say, “WOW ”. Our design knowledge and building experience is so extensive, we offer you our 10-year workmanship guarantee. We can turn even smallest of bathrooms into something that feels bigger, more spacious and more luxurious than you could think possible. For the larger room we can make you feel like you’re living in a 6 star spa resort all year round. We can achieve results like this because we focus strongly on the layout and design, because it’s the single most important aspect of creating a functional and yet elegant looking bathroom. The correct layout, combined with the right styling and product choice will give the illusion of grandeur without the hefty price tag. Couple that with the proper use of space and clean lines we can transform your bathroom into something sophisticated and modern, or a timeless classic while adding tens of thousands of dollars to the value of your family home. You’ll notice we’re not like anyone else. It’s because we take care of all of the little things that make the BIG difference. That’s what makes us so different and great at what we do... that’s how we can confidently offer you our 10-year workmanship guarantee. It’s important to know that there’s more to a bathroom renovation than just retiling the bathroom and changing some fittings. It’s what you don’t and can’t see that makes all the difference. As professional builders we can identify most of the potential building construction challenges before the work begins. In fact, we’ll have a good idea on what to expect when we meet with you to discuss your requirements. 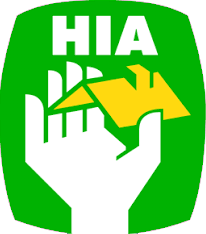 It’s important to understand everything we do complies with the relevant Australian Standards and building codes. 1. We’re a traditional family run and operated business, specialising in designing and creating bespoke bathrooms. That’s all we do. 2. We’re professional builders, this means we can do everything… to create a complete bespoke bathroom renovation for you. 3. We don’t use salespeople! One of our team of fully licenced tradesmen will inspect your property to fully prepare the fixed price schedule for your bathroom renovation. 4. We’ll give you a fixed price proposal to build your bespoke bathroom. Our proposal will be based on the scope of work we’ve both agreed to. 5. We’re fully qualified, appropriately licenced, and completely insured to give you the confidence and protection of knowing you are dealing with a team of professionals. 6. Every bathroom renovation we do has a fully detailed proposal and scope of works that we give to you. Your new bathroom is project managed correctly and includes a start date and a completion date… did we mention we turn up on time, every time. 7. 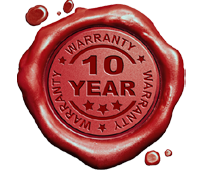 We offer an exclusive 10-year warranty on workmanship giving you the confidence to know the work is going to be carried out properly the first time. And… most importantly we’re perfectionists with high standards. Our team are specifically trained to be able to help you create the bathroom you’ve always wanted. Whether this is just updating a tired old bathroom, or a doing a complete redesign and renovation, we can help you achieve it. We consider price, look, durability and finish… combined with your ideas to help build the bespoke bathroom you’ve always wanted. 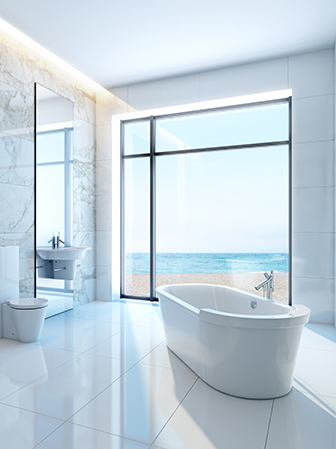 Our design knowledge and building experience is so extensive, we can turn even smallest of bathroom into something that feels bigger, more spacious and more luxurious than you could think possible.